In 1833 Haines was instructed to survey the island of Socotra as a possible coaling station for steamships which had just started to be used on a large scale. This was before the Suez Canal, but personnel and messages still found it quicker to travel to Egypt going overland and then completing the journey from the Red Sea. However, the sultan of Mahra's refused to sell the island and British troops' failed to seize it. Haines convinced the government of Bombay that Aden would make a better strategic port than Socotra and that perhaps it would become a useful commercial centre. In 1837 Haines persuaded the sultan of Lahej to sell Aden despite the opposition of his son, who tried to kidnap Haines to thwart the sale. Haines returned to India, but because there was a fear that Mehmet Ali Pasha, governor of Egypt, might seize Aden, Haines returned with 700 troops successfully to storm the town on 19 January 1839. Haines was appointed political agent, and administered Aden from 1839 to 1854, being promoted captain in 1841. His first tasks were to erect fortifications, to intrigue to prevent the Arabs from uniting to expel the intruder, and to use the Jews to set up a highly efficient intelligence network. After he had beaten off three attacks to retake Aden, Haines was able to concentrate on his plans for turning a ramshackle town where 600 people, nearly half of them Jews, lived in squalor into the main entrepot for Arabia and east Africa. An attempt to bring the imam of the Yemen into alliance was vetoed by India, but he played tribal politics with consummate skill, cheaply keeping the peace with well-placed bribes. At the same time, offering low rents to those who would agree to build in stone, he laid out a town which after seven years had a population of 25,000, served by a free port. Haines had no friends in high places and his requests for administrative help went unheeded. He was a virtual dictator, but had to write every letter himself and took no leave for fifteen years. When auditors arrived they found a deficit of 28,000 pounds, for, in the absence of a bank, Haines had used the Treasury for political and administrative expenses without keeping proper records. He was recalled to Bombay by the East India Company in February 1854 and put on trial for fraud and embezzlement, and, although twice acquitted, he was nevertheless cashiered. No one believed him guilty of financial dishonesty, but the governor, John Elphinstone, demanded restitution of the money. Haines, with an annual salary of 2400 pounds, was unable to pay and was consigned to a debtors' prison. He remained there for six years until the new governor of Bombay, Sir George Clerk, took pity on him. 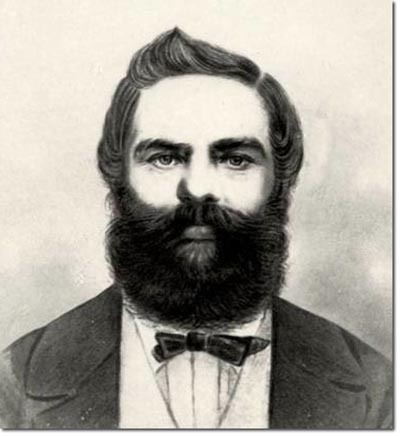 He was released on 9 June 1860. Haines was a strange mixture, a man with a romantic vision for the future of the first conquest of Queen Victoria's reign, a skilful politician among Arabs but not among his fellow countrymen, who was possessed of a sailor's practicality in such matters as building a town but not in administration. He was a formidable man, often devious, but liked by his colleagues and subordinates, energetic, and determined. He was thickset, with a broad forehead, full beard, and very light-coloured, widely set eyes that could be most intimidating. Haines died on 16 June 1860, at Bombay harbour on a ship that was to take him to England, one week after his release from prison.